Revitalizing A Haunted Building | What an Amazing World! A woman with long black hair wearing plain, white long cloth appeared, but her eyes looked menacing, her skin so pale, and her feet not visible. A man waved to the infrared camera, signaling his defeat to the challenge and a call for help. A few moments later the TV crew assisted him to get out of the near pitch-black underground chamber only to be interviewed by the host of the program shortly afterwards. It happened one day on the eve of dawn back in 2003 at Lawang Sewu, an early 20th century Dutch colonial building in Semarang reputedly to be haunted and the center of paranormal activities in the city. That episode of the reality show program ended up winning an international television award the following year. 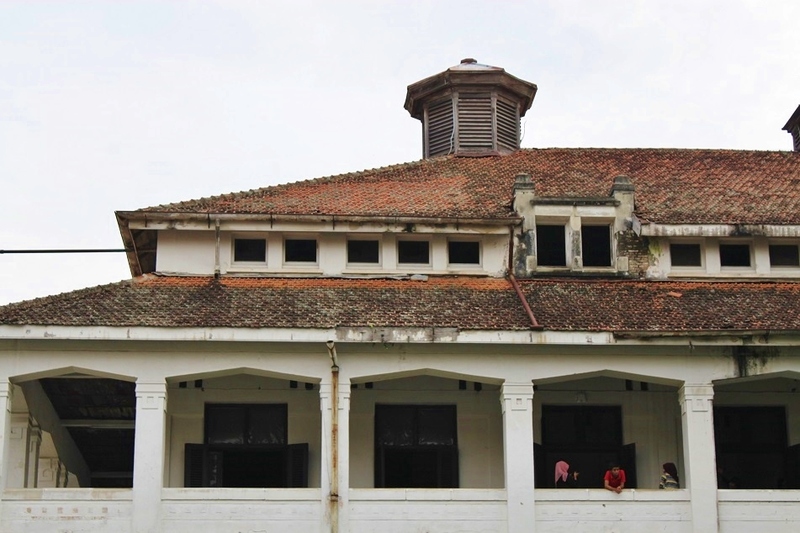 Regardless the authenticity of the footage – we all know too well how reality show often is a staged show – the reputation of Lawang Sewu as a place better suited for the setting of a horror movie rather than a beautiful historic place where people can learn about the history of the city is deeply instilled in people’s minds. 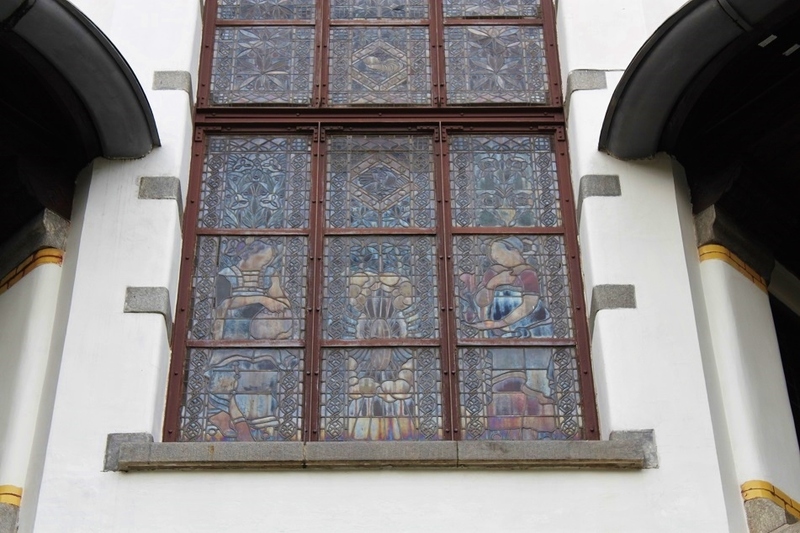 Fortunately in recent years efforts have been made to renovate its crumbling parts in hope for preserving the building and bringing it back to its heyday, also changing people’s perception of the Dutch heritage. 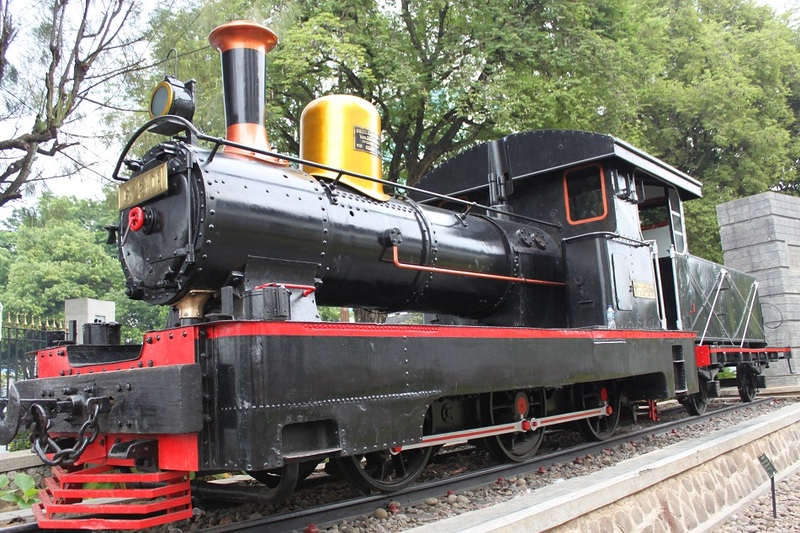 Named after the many doors it has – lawang is Javanese for door and sewu is thousand – Lawang Sewu was completed in 1920 and served as the headquarters of the Nederlands-Indische Spoorweg Maatschappij (NIM), the Dutch Indies Railway Company. 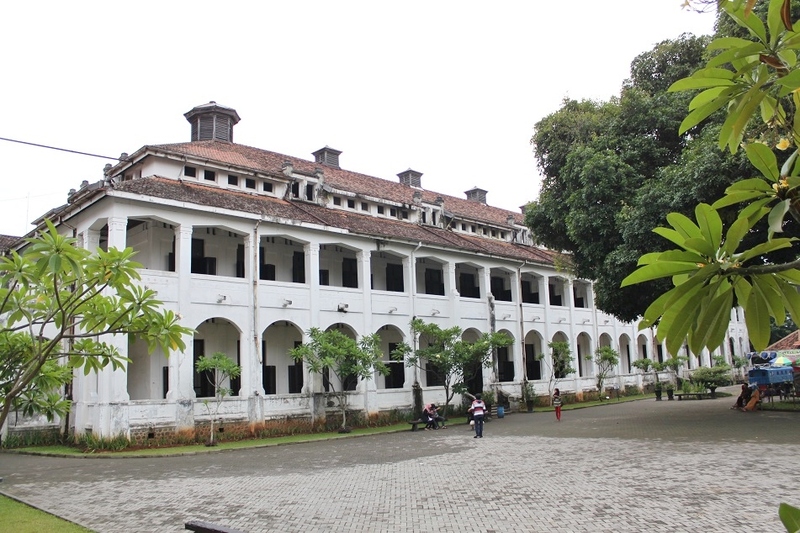 Consisting of two main buildings – A and B – and two smaller structures – C and D – Lawang Sewu was built in Dutch colonial style incorporating many doors and large windows which gave the building compound its moniker. 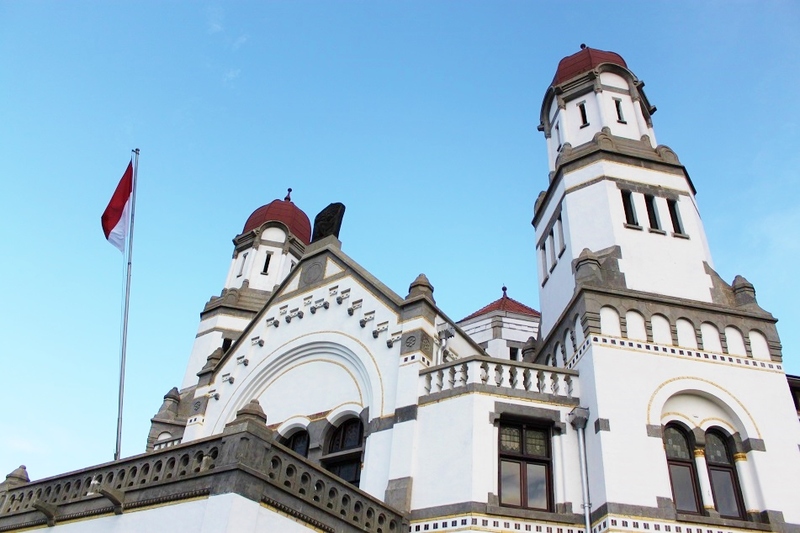 Lawang Sewu remained the office of NIM until the Japanese forces took control of the city in 1942 and turned the basement of Building B into a prison where executions purportedly took place. Three years later after Japan’s surrender to the Allied Forces and Indonesia’s proclamation of its independence a number of Japanese soldiers were still stationed around Semarang although most of the elite personnel of Kido Butai were already captured by the Indonesians. But in October 1945 – only two months after Indonesia’s independence – Semarang was engulfed in a battle between the Indonesian armed forces and the remaining Japanese soldiers following the escape of some Kido Butai personnel from prison. Lawang Sewu saw one of the fiercest battles in the city during a five-day period which ended up in the victory on the Indonesian side. The executions and the fierce battle later provided an inspiration for an urban legend which gradually shaped people’s perception of the site as a spooky place, leading up to the abandonment of the building altogether. 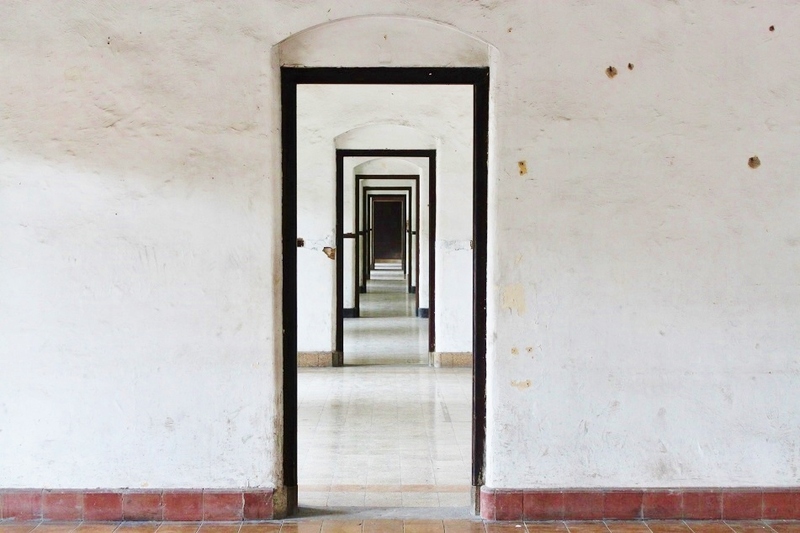 In the early 2000s all sections of Lawang Sewu were worryingly dilapidated and the so-called ‘Mystery Tour’ – independent tour arranged by local young men who often claimed to be able to see ghosts – which was quite popular at that time only made things worse for the already derelict edifice. 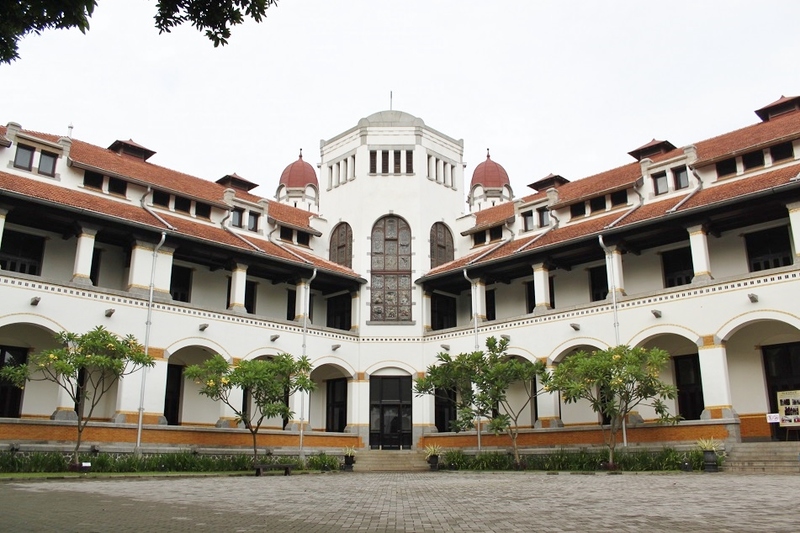 The TV program which further affirmed Lawang Sewu’s reputation as a haunted place only made such tour even more popular. Following public outcries and concerns by old building conservationists, in 2009 Lawang Sewu saw its first significant renovation work in decades, and two years later the then-First Lady of Indonesia opened the newly restored Building A as an exhibition center. 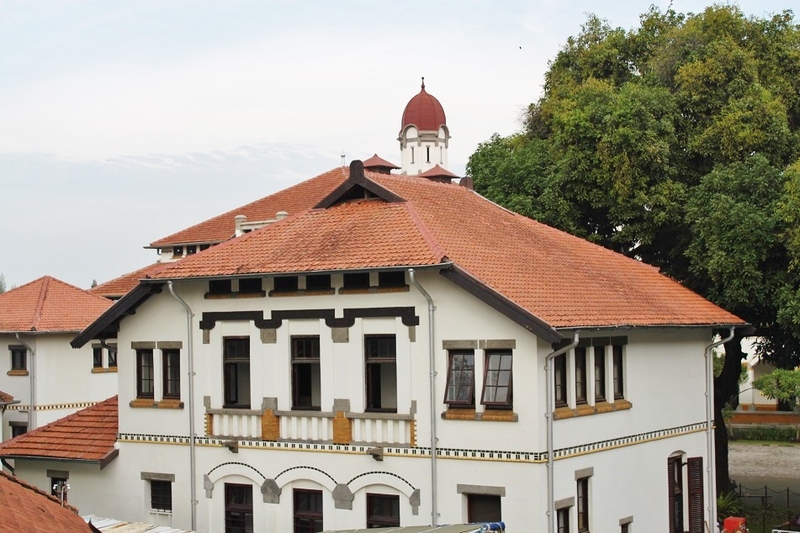 Lawang Sewu’s revitalization plan includes turning Building B into a commercial building with offices and restaurants, but at the moment works are suspended and Building B remains largely untouched. Wooden panels hang down from the ceiling in some rooms and the hall on the upper floor still looks somber with resident bats preventing this part of the building from utter quietness. It is still a long way to go to completely shed Lawang Sewu off its eerie image, but under a more professional management by its current owner, the Indonesian railway company, the building compound today opens its doors to visitors who are more interested in its history and architectural beauty than its supernatural stories. The introduction is incredible – A powerful joint with the photos and content of your story! Thank you for your encouraging comment, Mihran, as always. Glad you enjoyed this post. Bama the introduction really had me intrigued .Excellent writing. Wonderful photos as always . i especially like the one ‘Looking through the walls.’. Sue, I’m glad you enjoyed this post. Thank you! I remember many years ago when my uncle drove me around the city, when we passed by Lawang Sewu he told me how haunted it was. At that time the building looked dark and dreary. So it’s really heartening to see how things have changed. It really is, Sreejith. My cousin went there a few years before I did and she said how beautiful it was and it was such a shame that people were afraid to go there. 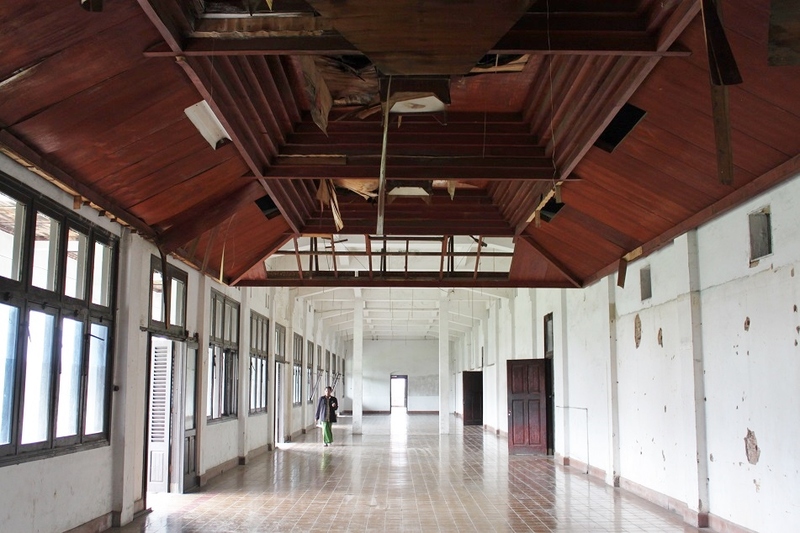 To know how much it has changed really gives me hope that Lawang Sewu will see better days. Thank you! Funny you should post this. I have just this week come home from Semarang. I went to Lawang Sewu on my first day in Indonesia so didn’t really get a good look. Also – the basement was closed the day I went. Thanks for sharing the story because now I know what to look for next year when I return to Semarang with my partner. Andrew, I think you’re the first person — or at least one of the very few people — who made Semarang his first place to visit in Indonesia. Most people started with Bali, Jakarta or Medan. So I’m glad you chose my hometown first. 🙂 The last time I visited Lawang Sewu Building A was closed. Was it still that way when you went? My grandmother was born in Semarang. My uncle and his family live there (my grandfather’s son … My gandfather was a Dutch soldier and my uncle was born before my grandfather met my grandmother). I will be back in August 2015 but am flying in and out of Yogyakarta because the flight was cheaper. I have not been to Bali because ot is very touristy. I spent a month on Java riding a motorcycle mostly around Jawa Timor. Only the ground floor where the railway museum was open when I was there. As for Semarang, it is a great place to visit especially the mountains nearby and the XXI cinema is amazing. You mentioned about the mountains near Semarang, I suppose that is where the small Hindu temples of Gedong Song are located, right? As for the cinema, I’ve heard that Indonesian cinemas are somewhat extravagant compared to those in western countries. Yeah Gedong Songong and also the swimming in the sky. Another great post! Thank you for sharing the building’s history and ghostly legend. Thank you, Jennifer! Walking from my parents’ house to that building only takes less than 10 minutes. So I knew I had to visit it at one point and write about its history. We all hope the restoration works will continue soon. The angles and perspectives of your excellent photos really show off this magnificent building. 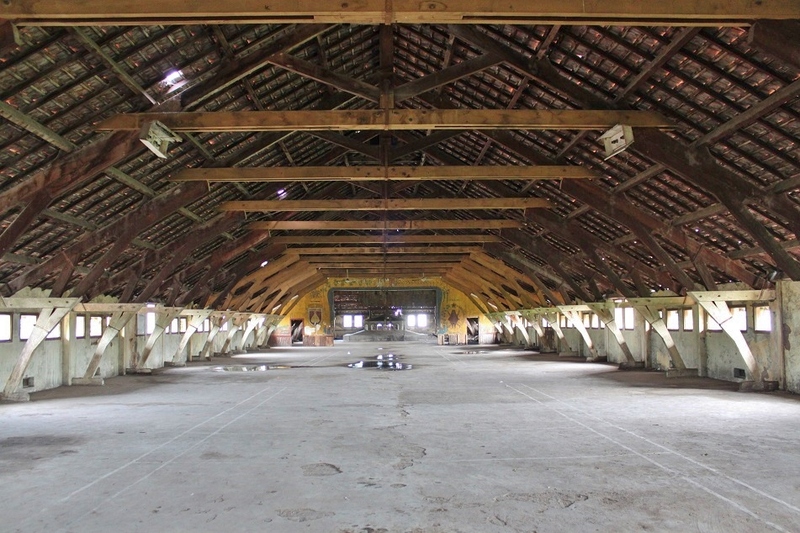 The wooden trusses of the abandoned hall are art in themselves! I hope the whole building can be restored and reused – ghosts and all! You’re right, Marilyn. Now that I think of it the wooden trusses do look like some sort of modern art installation. I surely hope the whole building will be restored soon and once again become a jewel of the city. Thank you for your kind comment, Marilyn. I really appreciate it! Many thanks for your kind words, Randall! Understanding the history of a place does make it even more interesting. As for Lawang Sewu beyond those silent walls, stained glass window, arches and passageways, lie a story so important to the city that the government decided to build a monument — called the Youth Monument — right in front of the building to commemorate the courage of the young men and women who defended the city during the five-day war. A lovely post, Bama! Pardon the expression, but from your photos Lawang Sewu seems hauntingly beautiful – even the abandoned hall in the attic has a certain appeal. Were it not for the encounters with the paranormal, I imagine this could easily be turned into a grand hotel on par with the Majapahit in Surabaya! Sama Lim, ini salah satu bangunan Belanda yang paling saya suka. Dan enaknya lagi cuma perlu jalan kaki dari rumah ortu ke sini. 🙂 Tentang si perempuan itu, masih inget banget waktu dulu kuliah nonton Dunia Lain bareng temen-temen kost, bulu kuduk merinding semua. Tapi melihat perkembangan Lawang Sewu sekarang cukup menggembirakan sih, ada loket tiket resmi, gak pake guide yang menawarkan tur misteri. Mudah-mudahan Gedung A bisa dibuka lagi untuk umum segera soalnya stained glass-nya bagus. Hi Irfan. Thanks a lot! It was really a shame that Lawang Sewu was left derelict for years because of the scary stories that slowly enshrouded the place with mystery. But as you can see, things are a lot better now. Hopefully you’ll get to visit it soon! I like to read stories about ghostly legends and tales of strange occurrences. You’re not the only one who love that kind of story as that’s exactly the reason why Lawang Sewu has become a popular place among ‘ghost enthusiasts’. Great shots! I love the first and second pics, the blue sky is a dramatic background! Thank you, Nugie. Apart from that 2010 photo, all pictures in this post were taken in two days. So you might notice in some photos the skies don’t look as nice and blue as in the others. I’m not against the idea of turning old buildings into commercial centers as long as their historical and architectural aspects remain well-preserved. I believe that’s the case with Europe where turning old buildings into shops is one of the ways to conserve their heritage and prevent them from becoming derelict. What we need here in Indonesia is better management and engagement from all stakeholders, including conservationists who have the knowledge and businessmen who have the money. It really is a concerted effort, and trash-wise I still have hope as long as they provide sufficient garbage bins and adequate staff to take care of unruly visitors. WOW! WOW! WOW! Amazing Shots. Amazing World. Amazing Bama! You’re so kind, Prem. Thank you! Wish you a joyful Christmas and a very happy new year too! Hi Bama, Keith likes haunted building so he’d like the story about this one:) It truly is a beautiful building. I hope they can really save this architectural treasure, The stained glass windows are spectacular. I enjoyed your shots, especially the “looking through the walls” and the boots. 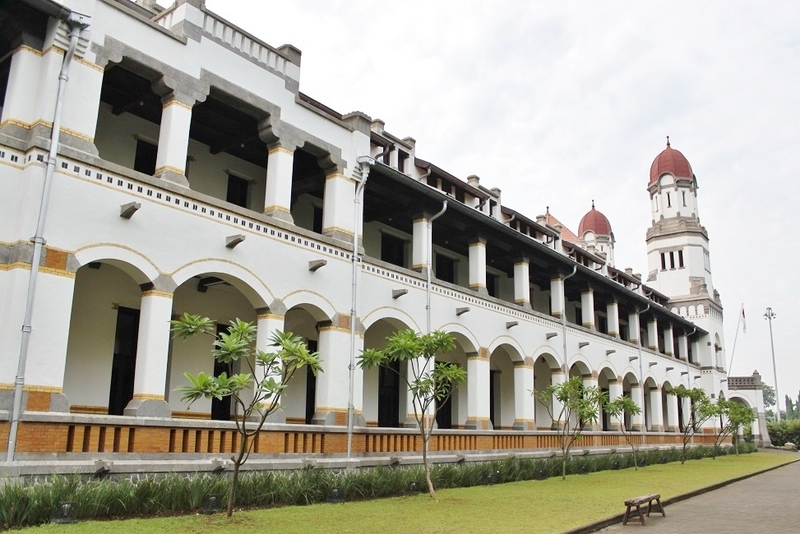 Marisol, Keith should have visited Lawang Sewu before it’s being restored. However I like to see how it looks today as people now appreciate its architecture more than before. 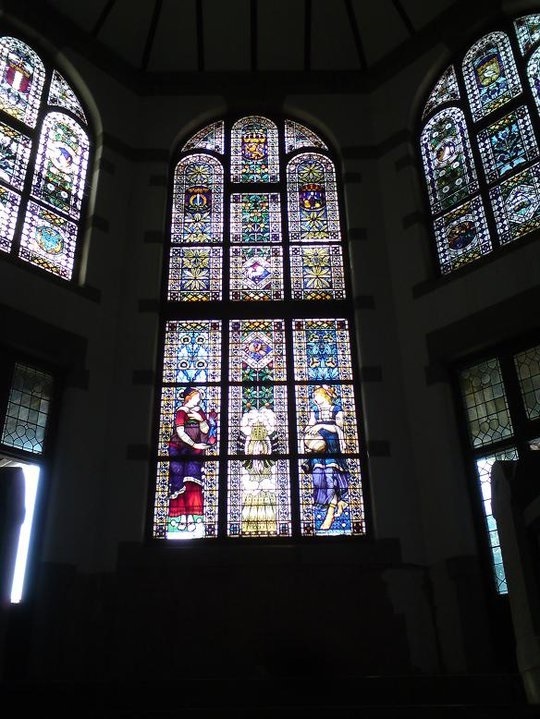 I personally think the stained glass window is one of the highlights of Lawang Sewu, unfortunately at present visitors can only see it from the outside. Thank you again, Marisol! Thank you, Madhu. 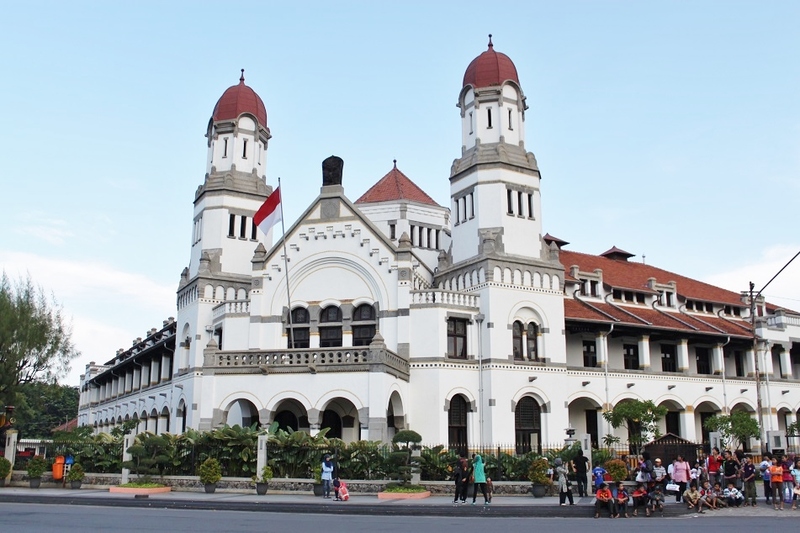 I love how in the late 19th century – early 20th century the Dutch were so keen in constructing impressive buildings all across Java, including Lawang Sewu. And to see it still standing today, pretty much intact, is very encouraging as it gives that glimmer of hope that there are a lot of people who want to see it the way it used to look like in its heyday. In hindsight, the fact that the building was ‘haunted’ probably helped its preservation since no one was eager to do anything to it, let alone tearing it down. Interesting blog post! The intro certainly grabbed my attention. I love the story and the photos are simply breathtaking. My blog is also about travelling but I am still a beginner.. Your blog sure does inspire me! Hopefully one day I will be more like you. Btw I would love it if you could check it out and maybe give me some feedback? Thank you, Dilan. To say this blog has inspired you is a really kind of you to say. When I started this blog around four years ago I was also inspired by other bloggers — those who had been around for a couple of years. Never stop traveling, writing, and most importantly, doing things you really like. Best wishes! Beautiful blog post! Amazing photos. Best wishes! Grazie! I’m glad you enjoyed this post. This building is beautiful, and what a great story behind it! I am definitely adding it to my bucket list, thanks for sharing!! Hi Emma. Thank you for reading. When you happen to be in that part of Indonesia, make sure to pay this building a visit. Hopefully all sections of the colonial edifice will have been opened when you do come. Wonderful post! I really enjoy your way of writing, it is like reading a novel more than reading just another blog. Love it! Thank you, Cher. 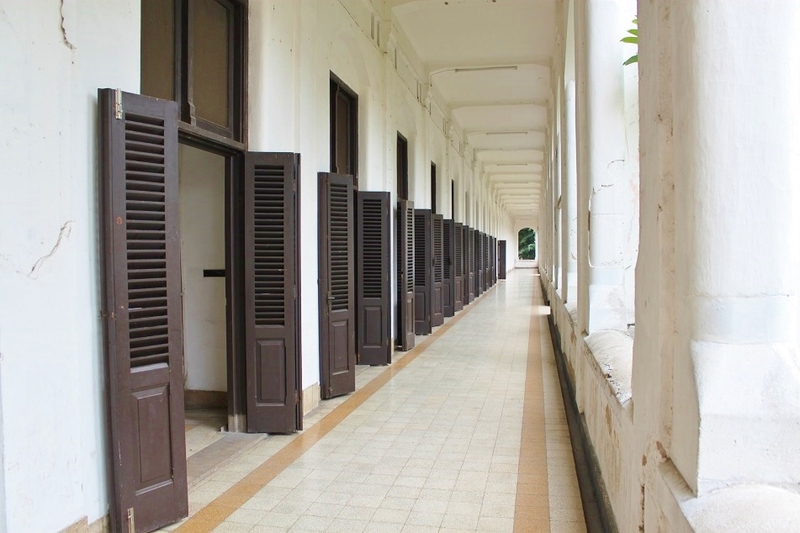 The many doors of this building would certainly be one of the highlights of any visit to Lawang Sewu. Thank you for your kind comment! Pingback: Semarang: My Cherished Hometown | What an Amazing World!